I’ve never been a particularly girly girl. As a kid, I was the only girl who didn’t freak out when my brother’s friends would produce a frog from behind their backs. I never did ballet or wished for pink satin ballet slippers. And you are still more likely to find me in jeans and an Arcade Fire T-shirt than in killer heels and a frock. But every now and again, like Kenny Loggins said, you gotta cut loose. And in my case that meant getting seriously girly. Romantic novelist Barbara Cartland wore only pink in the latter years of her life, inspired by the colour of the Egyptian pyramids. In the 60’s Communist sympathisers in the USA were called pinkos. Less than 0.01% of the world’s diamonds are classified as pink, and 90% of those come from the Arglye mine in Australia. What we call blue movies in the West are called pink movies in Japan. What many of you might well know is that pink is also the colour of breast cancer awareness. Breast cancer is now the most common cancer in the UK – over 40,000 women in the UK and 1 million worldwide are diagnosed with it each year (as are about 300 men in the UK). Each year in the UK 1,300 women (and 90 men) die from breast cancer, but the good news is that survival rates have been steadily climbing since the 1970s. Whereas in the 70s, only 5 out of 10 women diagnosed with breast cancer survived for 5 years after diagnosis, now it is 8 out of 10. Your risk of developing breast cancer increases with each close relative diagnosed with breast cancer – but the majority of breast cancer still occurs in women with no family history of cancer. So not much you can do there – but what you can do is watch your weight (obesity increases the risk), stop smoking (your risk increases the longer you smoke), drink less or not at all (as little as 1 drink per day increases your risk by up to 12%), and exercise regularly (excercise decreases your risk by up to 20%). And, of course, don’t skip your mammograms. The earlier breast cancer is diagnosed, the better the chances of overcoming it. Nine out of ten women diagnosed with stage I breast cancer are still alive five years after diagnosis. This drops to only one out of ten for women diagnosed when the disease has already progressed to stage IV. As you might by now have guessed, October is breast cancer awareness month. There are lots of events and opportunities for you to make a difference – why not wear pink and help spread the word, join an event or make a donation today to Cancer Research UK or to CANSA (the Cancer Association of South Africa) . Every one of us knows or will know somebody affected by breast cancer, so think of it as a gift to your friends and family, now or for the future. As for me, my contribution to raising awareness comes in the form of these super-girly pink cupcakes. The recipe is an adaptation of my sinful dark chocolate and raspberry cupcakes, but this time I went all the way and iced them too. You might think the white chocolate in the batter is too sickly sweet, but suspend your disbelief until you bite into them and discover their secret: tart fresh raspberries hidden in the centre. The icing is ridiculously vividly pink, and the best thing about it is that the colour is 100% natural. OK, maybe that’s the second best thing – the best thing is the taste :). Try them and see for yourself! Pre-heat the oven to 180C (350F). Melt the butter in a double boiler (or in a pyrex bowl over a pot of boiling water on the stove). When half melted, add the white chocolate and stir until both chocolate and butter are melted. Check for lumps and remove from the heat. Add the sugar, then the eggs and vanilla essence – mix well. Sift in the baking soda (to prevent lumps), then add the flour and beat until mixture is smooth. Stir in the water, a little at a time, mixing well between additions until all water has been absorbed into the batter – it will be quite runny. Line a 12-cup muffin tin with paper muffin cups. Pour about 2 Tablespoons of batter into each cup. Place 2 fresh raspberries into each cup, then divide the rest of the batter equally among the cups. Bake for 20 minutes or until a skewer inserted into the centre comes out clean. Cool completely on a wire rack before frosting the cupcakes. For the frosting, gently heat about 15 fresh raspberries with 2 Tpsb water in a small saucepan on the stove, until the raspberries are soft enough to mash with a fork. Allow to cool completely. Cream the butter, then add the icing sugar and cream together. Add the pureed raspberries 1 Tbsp at a time until the right consistency is achieved. 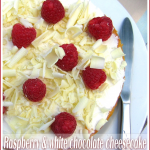 Use a piping bag or a palette knife to ice the cakes and top each with a fresh raspberry. Thanks for bringing the PINK campaign to our attention Jeanne. These are perfect little pink bites for the “girlie girl” in all of us. I am a supporter of the “pink campaign” to raise awareness for breast cancer so I love your post. Campaigning has been in full swing here in NY since last weekend with all kinds of activities and fun runs etc so I plan to add my voice by preparing your cupcakes and taking them to a fundraiser. Thank you for the recipe. This is a really cool post! They look great and have risen so evenly too. Another pink factoid – In Italy “una romanzo rosa” is a Mills and Boon type novel. move over dark chocolate, white chocolate does have some good nutrients such as calcium. like these…envisioning frosting with dark chocolate cupcakes, cake…great either way. Wow, I these look so good, I am going to bake them tonight. 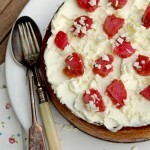 I have such a sweet tooth and so am always looking for new recipies. hello! i am so excited to make these cupcakes! is there any way you can post a US converted recipe for a girl who wants to make this accross the pond? thanks so much! I made these beauties last week and they went down a storm – thanks for the recipe. I’ll be posting it in the next week or so. 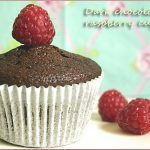 Hi – I always come back to this recipe over the years – I think putting water into the sponge mix is a great idea, the sponge is always so moist and they last for days. Thanks! These cupcakes are so pretty, and would be perfect with a cup of tea. Commenting as BritMums Baking Round-up Editor.